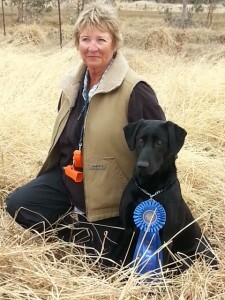 Find Retrievers.com News & Articles » Blog Archive » Congrats to Cheryl Jones on her Amateur Win! Congratulations to Cheryl Jones of California on her Amateur win with Flyway’s Ain’t Misbehaving, Flirt! Flirt just turned three in December and is out of FC AFC Wood River’s Franchise and FC AFC Flyway’s Ruby B Gonia owned by Don and Helen Graves. Flirt won a 73 dog Amateur at the San Jose Retriever Club on Feb. 1 in Corning, CA.